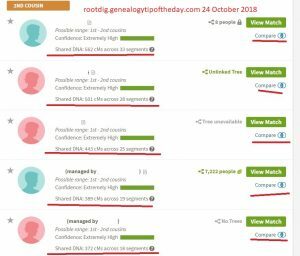 Genealogy “how-to” books discuss citation of sources and how to analyze information that has been located in the context in which it was created. Those are definitely worthwhile activities for reasons we’ve discussed before. But citation and analyzing what has been located is only part of the process. Tracking your process is important too, especially when individuals are not easy to find or locate. Keeping a research log is an integral part of process tracking, but sometimes there is a little more to it than listing what sources were searched. It is especially true when searching an online database and the desired results are not easily obtained. 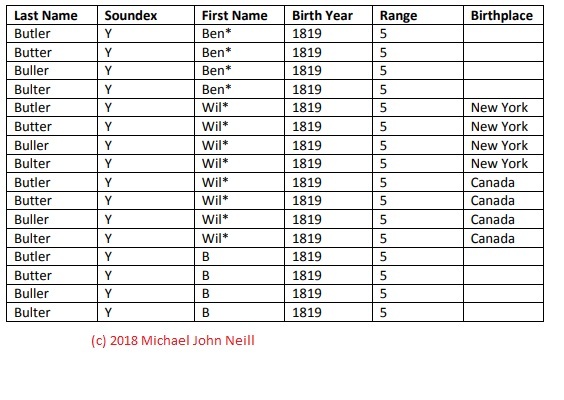 The chart that illustrates this post is part of one that was compiled in an attempt to locate Benjamin (or William) Butler in the 1860 US Census. He is believed to have been born around 1819 in New York State or Canada. It is not known where he lived in 1860–at all. how did you search for him? That search cannot be evaluated if it is not tracked. The grid of search options (only partially shown) allows me to track what I have done. It makes it easier to pick up where I left off if I get interrupted–all I have to do is include a column for “search performed” to mark when I’ve completed that search. These charts are only created when quick searches fail to locate the person of interest. 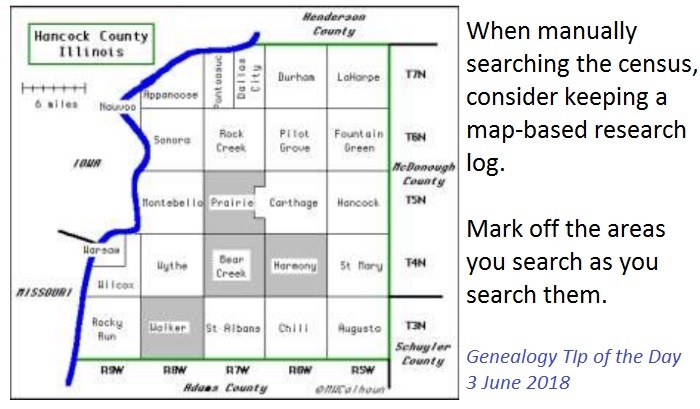 For manual searches of records–particularly those records that are organized geographically, a geographic research log may be desired as mentioned in Genealogy Tip of the Day. It may be easier to use while researching and serves as means to suggest additional research locations. And it helps track your process. Dear Michael, could you let me know how you created the map-based research log like the one pictured above? We are working on a blog post with that information. Where can you get a research map? We are working on an update with some links and suggestions.